It’s been a very very busy week, especially considering that I don’t have a booking this weekend. I’ve had meetings with two couples whose weddings are fast approaching and two more with couples who have now booked me to play at their weddings. Gary, my colleague from The Party Hosts and I also had a very exciting meeting with a very prestigious venue to talk about mood lighting and entertainment. Meanwhile Alan, the other Party Host, has been in Vegas at the annual DJ convention and training with the amazing Mark and Rebecca Ferrell – Gary and I have to wait until May for our next sessions with mark and Rebecca when they visit the UK again. 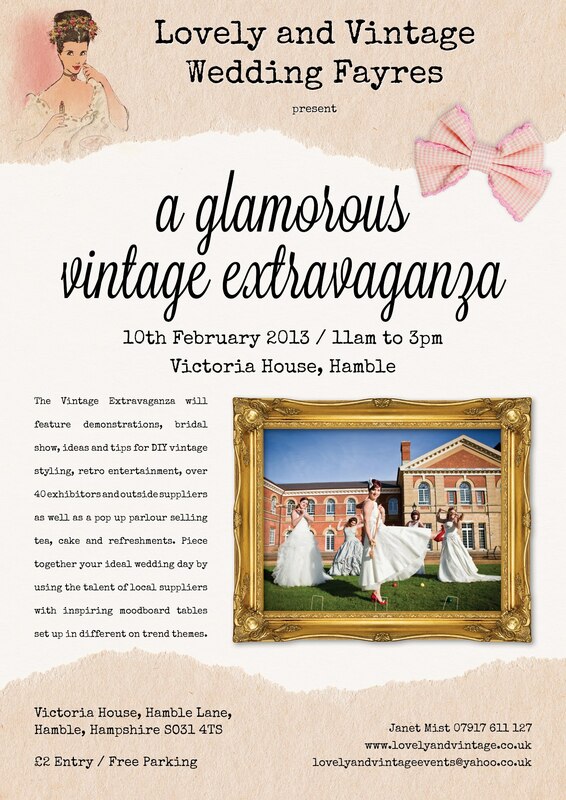 I’m eally looking forward to my first wedding fayre with Lovely and Vintage on Sunday at Victoria House in Hamble. I was over that way yesterday visiting one of my new couples and it was great to see some nice big yellow signs directing people to the event. Gary’s at the Southend Barn’s wedding fayre So come and say hello ~ bonus points if you come and see BOTH of us! This entry was posted in Event, Wedding Fair and tagged Alan Marshall, Gary Evans, Lovely and Vintage, Marbecca, Mark & Rebecca Ferrell, Netley wedding DJ, The Party Hosts, Victoria House, Vintage, Wedding DJ Hampshire, Wedding DJ Southampton, Wedding Exhibition, Wedding Fair. Bookmark the permalink.